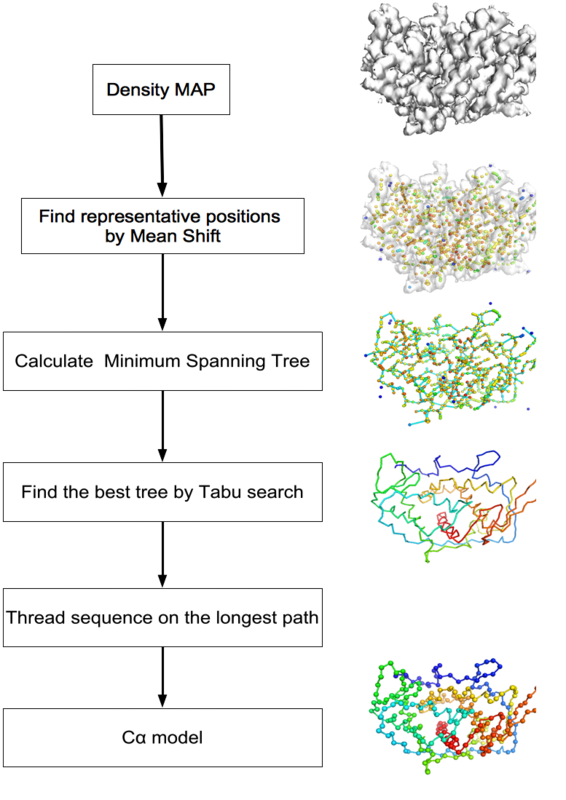 MAINMAST directly traces main-chain connections and C-alpha positions by using Tree-Graph models on the EM map. Terashi, Genki, and Daisuke Kihara. "De novo main-chain modeling for EM maps using MAINMAST." Nature communications 9.1 (2018): 1618. Terashi, Genki, and Daisuke Kihara. "De novo main-chain modeling with MAINMAST in 2015/2016 EM Model Challenge." Journal of structural biology 204.2 (2018): 351-359. 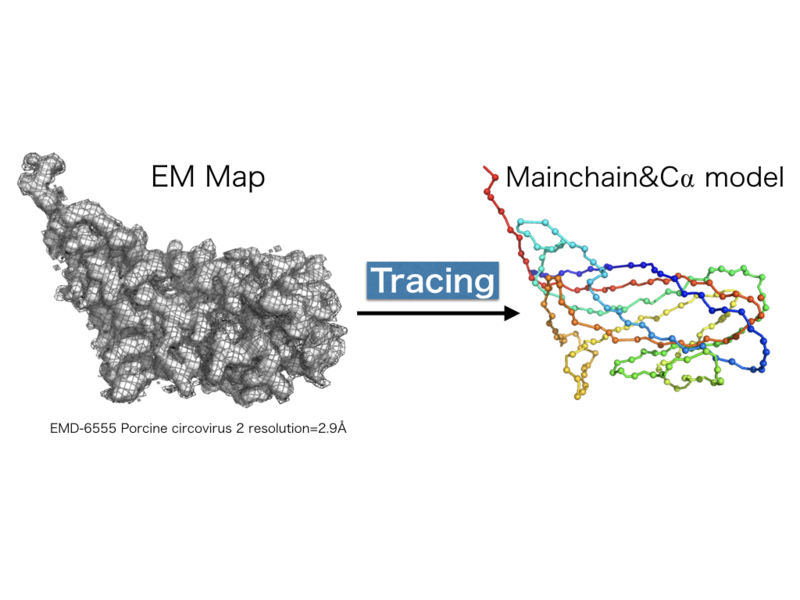 MAINMAST is a de novo modeling protocol to build an entire protein 3D model directly from near-atomic resolution EM map. MAINMAST is a filly automated protocol and can generate reliable initial C-alpha models which can be used to construct full atomic models. This new de novo modeling method has several advantages; (1) It does not require reference structures; (2) It does not requre manual interventions; (3) a pool of candidate models are generated. (4) Thread sequence on the longest path.